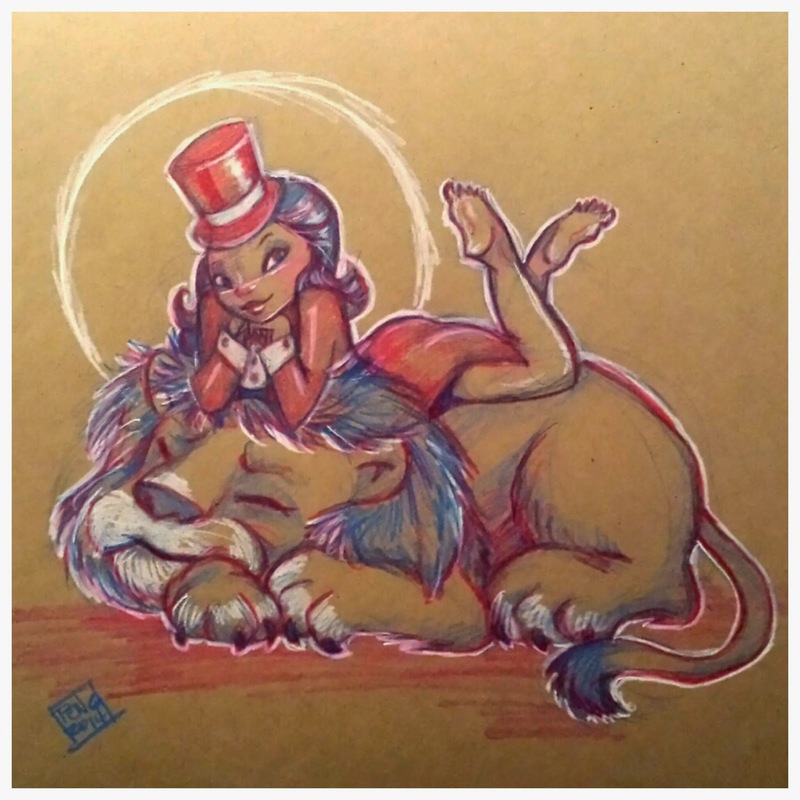 thought i'd quickly post this sketch i did for this week's theme of "Circus" on the Girls Drawin Girls blog. she's my little lion tamer. i don't think she needs whips or chains to tame the lion. just her adorable charismatic self. =) i think i wanna start drawing more cute giant animals.